The Cisco® 1900 Series integrated services routers intelligently embed data, security, and wireless technology into a single, resilient system for fast, secure, delivery of mission-critical business applications to small-to-medium sized businesses and small branch offices. 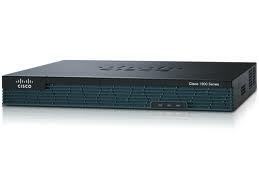 Cisco 1900 Series integrated services routers are the next evolution of the award-winning Cisco 1800 Series routers. 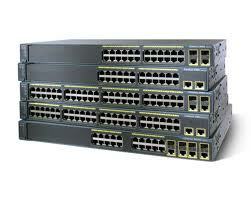 The Cisco 1900 Series routers are fixed configuration, while the Cisco 1841 is modular. Cisco Catalyst 4500 Series switches are designed for enterprise LAN access, branch offices, Layer 3 distribution points, small and medium-sized businesses, and metropolitan (metro) Ethernet deployments. The Cisco Catalyst 4500 Series comprises a series of chassis ranging from 3 to 10 slots and a set of supervisor engines delivering up to 136 Gbps of Layer 2-4 switching. 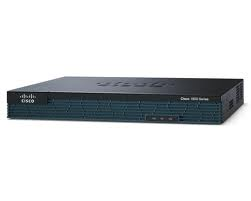 The Cisco Catalyst 4500 Series supports an extensive set of line cards, including high-density 10/100, 10/100/1000 (both with 802.3af Power over Ethernet [PoE] options), 100BASE-FX, 100BASE-LX10, 100BASE-BX-D, Gigabit Ethernet, and 10 Gigabit Ethernet. The Cisco Catalyst 4500 Series offers a price-performance range of chassis: Cisco Catalyst 4510R (10 slots with redundant supervisor option), Cisco Catalyst 4507R (7 slots with redundant supervisor option), Cisco Catalyst 4506 (6 slots) and Cisco Catalyst 4503 (3 slots). The Cisco Catalyst 2960 Series Switch is a fixed-configuration, stackable standalone switch that provides wire-speed Fast Ethernet and Gigabit Ethernet connectivity. This switch offers two distinct sets of software features and a range of configurations to allow small, midsize, and enterprise branch offices and industrial environments to select the right combination for the network edge. Standard Image Software offers Cisco IOS Software functions for basic data, voice, and video services. For networks with requirements for additional security, advanced quality of service (QoS), and high availability, Enhanced Image Software delivers intelligent services such as rate limiting and security filtering for deployment at the network edge.